Unfortunately, many grantors who plan to use a living trust as an alternative to a will overlook one very important step: trust maintenance. During the grantor’s lifetime, he acts as both trustee and beneficiary, meaning that using trust assets is pretty much business as usual. The grantor typically has unrestricted authority to use trust assets on his own behalf, meaning that he can sign checks, spend money, make purchases and sell assets just as he would have before the transfer. It’s that flexibility that can lead to problems. Imagine, for example, that the grantor has placed his vehicle in the trust. A few years pass and he decides to buy a new car. Ideally, he’ll title the car to the trust upon purchase, but that doesn’t always happen. The vast majority of people are accustomed to purchasing a new car as an individual, and may do so automatically. That’s not a problem during the grantor’s lifetime, but when he passes away it leaves an asset outside the trust. Depending on how the vehicle is titled, that one item may have to pass through probate. During the grantor’s lifetime, he will be the trustee and often the only beneficiary of the trust. For the living trust to do its job as a means of passing property after death, however, the grantor must name one or more successor trustees and one or more successor beneficiaries. The successor trustee will be responsible for administering the trust for the benefit of the successor beneficiaries. The attorney creating the trust on behalf of the grantor will ensure that at least one successor trustee is listed, so that if the grantor passes away unexpectedly, the person of his choosing can immediately step in and take over management of the trust. The attorney will also talk with the grantor to ensure that all intended beneficiaries are listed. Often, though, many years pass between the creation of the trust and the grantor’s passing. During that time, the successor beneficiary may herself pass away or become incapacitated. Or, relationships and priorities may change and the listed trustee may no longer be the right person to administer the trust in the grantor’s absence. 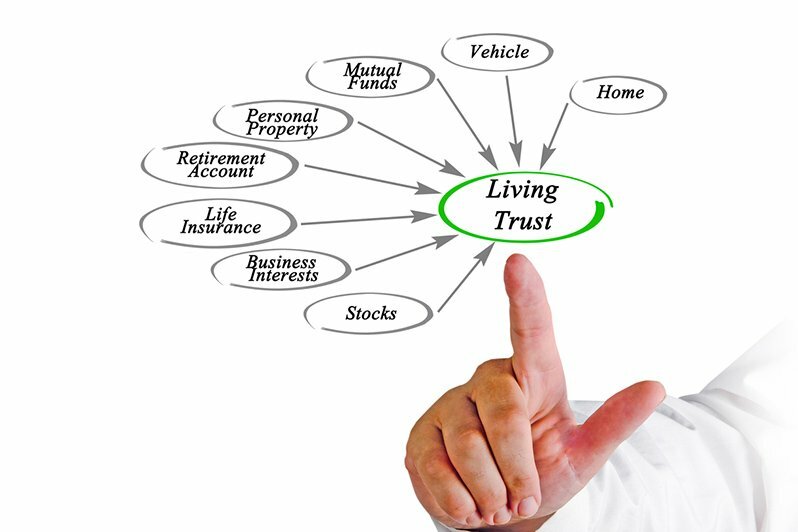 Failing to update the trust when an event like the ones listed above occurs can have serious unintended consequences, making living trust maintenance a critical element in an effective trust-based estate plan. Some changes in circumstances may also trigger a need to revise the terms of the trust. For example, if one of your adult children develops an addiction, you may want to continue to provide for that child, but not to directly transfer assets to her. If you have a living trust and haven’t revisited it, it may be time to review the terms and appointments, as well as ownership of property you’ve acquired since the trust was created, to ensure that your beneficiaries are fully protected.